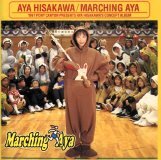 This is a solo album by Hisakawa Aya (久川綾). This CD comes in a yellow cardboard container, which holds the 22 page color lyrics booklet, and the normal plastic CD case. 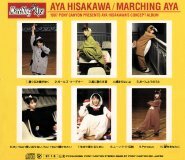 There are many pictures of Aya wearing various kigurumi in the booklet. This CD is set up like an undoukai (athletic festival). Each song is a theme song for a particular event during the festival. 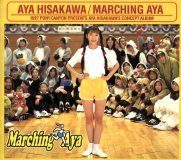 There is also a Kigurumi Daiundoukai video of Hisakawa Aya which shows Aya (and many others) performing the athletic festival. The songs in this CD appear in the background of the Undoukai video. Obentou no Uta is a song written by Inoue Kikuko. Kikuko says, "Guu!" in the background during this song. Tsukamaranaiyo, My Heart.., and Moonlight Densetsu are retakes of the popular songs from Aa Megami-sama and Sailor Moon. They sound very different from the originals. Not bad, but different.